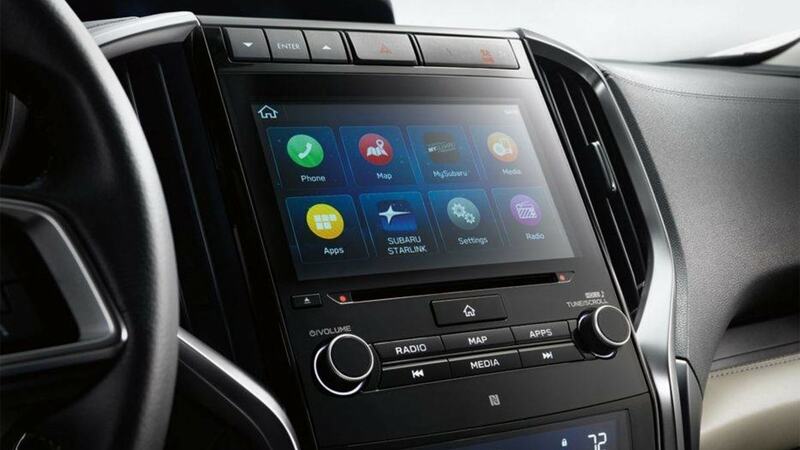 Subaru has a problem with its Starlink infotainment system. Have you had problems with your Subaru vehicle? Subaru has never received much praise for their infotainment options so the Japanese automaker made a big push to change that when they introduced Starlink1 for select 2016 Legacy and Outback models. Owners reporting problems on their Subaru vehicles now include some 2018-2019 Subaru BRZ, 2018-2019 Subaru Crosstrek, 2017-2019 Subaru Impreza, 2015-2019 Subaru Legacy, and 2015-2019 Subaru Outback. Subaru’s Starlink offers a suite of onboard technology bringing multimedia content with smartphone connectivity, navigation, and extra safety to Subaru vehicles. A driver can use the Starlink system with Android Auto, Apple CarPlay and Bluetooth. The technology also includes the screen for the backup camera, controls for the radio and audio system. But about 50 percent of owners are reporting some problems with Subaru Starlink. The Starlink systems consist of Harman Gen 3 audio and navigation head units, and the lawsuit alleges it's the head units that create safety concerns for Subaru drivers. Radio volume is blaring when the car is turned on, even if the radio was turned off when the car was last turned off. Spotty bluetooth connection prevents calls and Apple CarPlay or Android Auto functionality. Even though Subaru has issued at least two Starlink software updates to fix the head units, the lawsuit claims some customers weren't helped much by the updates or by technical service bulletins (TSBs) issued by Subaru to dealerships. The lawsuit also says new TSBs are supposed to be sent in July 2019 to correct the problem because the past updates have failed to work. Some owners have reported they have had better luck with replacing the entire head unit, but are on backorder and can be up to a 6-month wait. Technical service bulletins advise service technicians to install the software updates, perhaps just to buy Subaru of America some time to figure out what’s wrong. There are also tips for replacing the audio amplifier, and troubleshooting ideas for Bluetooth, Apple CarPlay, and Android Auto connection issues. The Magistrate Judge in the United States District Court for the District of New Jersey issued a ruling recently largely denying Subaru’s motion to stay discovery pending the outcome of its motion to dismiss. The Judge’s order found Subaru’s concerns about the expense of discovery “overblown” and acknowledged that even Subaru concedes that some of the plaintiffs’ claims will survive its motion. Owners can wait to see what happens with the latest lawsuit and if you would like more information on the case, you can go here. Subaru Outback, Crosstrek, Impreza, Legacy and BRZ owners with Starlink problems can go here to check on any current Subaru recalls for your vehicle. I have a 2015 WRX and have the crappy Fujitsu10 double din radio. My boring radio doesn't have any of the fancy pants features that the 2016+ models have ... but I also don't have the headaches. I was disappointed when the 2016 came out with the new dash and radio but man...I think I dodged a bullet. The problem is obvious. They went cheap on processor speed and memory for all the jobs the head unit does. Blaring radio on start can usually be avoided by cranking volume to zero leaving it on. If we buy another Subaru we may get a base model and take it to a car stereo installer. Rip the whole thing out and start over. We don't like leather anyway so no factory premium sound for us anyway. CVT frailty is annoying also as are the moronic artificial shifts. They are shooting themselves in the foot not selling manual transmissions. And what happened to the hatchback WRX? Our system went down on March 28,2019. Shut off car at a business, started up 30 minutes later and all dark. No radio, phone, back up camera, no interior lights, door lock system not working, etc.. At least it runs, so can get to dealer! We bought our Crosstrek in October and have had multiple problems since then. First on a cold November evening the car was disabled and couldn't be started. Had to be towed to dealer an hour and a half away in cold Vermont. Magically it started for the dealer in the morning. Haven't been able to get an explanation. Five weeks ago the radio stopped working completely. Then after car was left for two weeks, the battery was dead and had to be charged. When car started so did the radio. Today took it to dealer and they said ok radio is working now and that happens to the battery because there are so many electronics in this car. that can drain the battery when left for a period.Really, it this what I have to expect from now on? This should also include the Subaru Ascent. We've had numerous issues just like the list stated above with our system. We've taken it back to the dealer 3 times and they've updated it and claim they can't get the problem to replicate...right. anyways we finally have given up hope and are left with a shotty system. Might be time to trade in already lol.